This section contains archival material, articles and podcasts relating to the commemoration of historical events, identifying the links between history and memory. 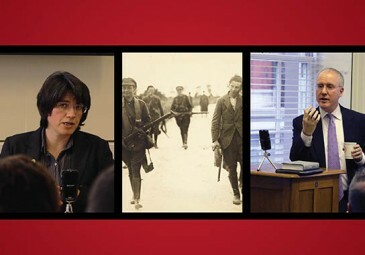 1916 and Me / 2016 and Us - This series consists of more than 40 interviews, recorded in Dublin and Belfast throughout 2016, with individuals (academics, community leaders, politicians, artists, writers and members of the public) giving their views on the significance of the events of 1916 and also on the meaning of commemoration. 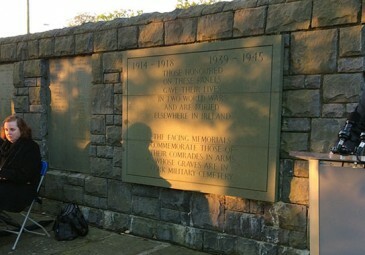 Commemorating Partition and Civil Wars in Ireland, 2020-2023 is a project run by Dr Marie Coleman and Dr Dominic Bryan at Queen’s University Belfast. The project, which is funded by the Arts and Humanities Research Council, examines approaches to the 2020-2023 period of the ‘decade of centenaries’, on both sides of the Border. 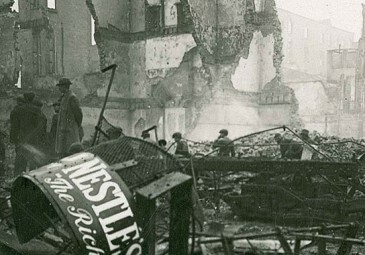 Project events, including, Civil Wars and their Legacy and Commemoration and Conflict in Ireland, 1920-1922 are available to podcast on History Hub. Dr Guy Beiner gave a fascinating lecture in UCD in 2014 as part of the Irish Memory Studies Network’s Memory and Community lecture series. You can now podcast Beiner’s fascinating talk - Intra-Community Remembering and Forgetting: Commemorative Possessiveness and Envy in Ulster - on History Hub. The Church of Ireland hosted a public conference - Remembering, Forgetting and Fulfilling 1916 – in Christ Church Cathedral, Waterford in March 2016. The conference was organised to evaluate 1916 and the manner in which it has been remembered and used politically. Lectures by a number of speakers, including Professor Ronan Fanning (The Political Abuses of 1916) and Professor Charles Townshend (The Complexities of Commemoration), are now available to podcast on History Hub. The Irish at Gallipoli podcast series by Jeff Kildea. Universities in Revolution and State Formation. 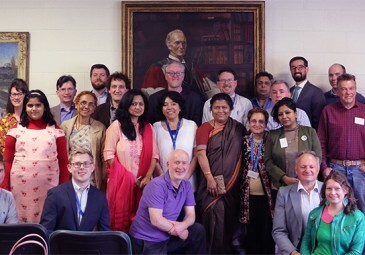 This conference took place in UCD Newman House in June 2015. The conference offered a national, European and global perspective on the role and experience of universities in times of revolution and uprising. Real Smart Media, in association with History Hub, recorded the conference proceedings and these are now available to podcast. Commemorating Clontarf: 1014 through the Ages. A special two-part History Hub series commissioned to mark 1000 years since the Battle of Clontarf. Commemoration Special: JFK assassination. History Hub presents a number of documents relating to the political reaction in Ireland to John F Kennedy’s assassination. Eoin McNeill: Revolutionary and Scholar – in this special commemorative series, History Hub looks at the political and academic careers of Eoin MacNeill. Towards 2016 - Mary Daly on the fascinating 1916 material digitised as part of the Irish Virtual Research Library and Archive (IVRLA).